Economic stability is key in any business, but increasingly so in a business with extremely long-term asset investments. The long-term position has to be strengthen, reserves of limestone secured for the future and the customer satisfaction needs to be continously in fokus. Sustainable leadership is increasingly affecting day-to-day decisions. 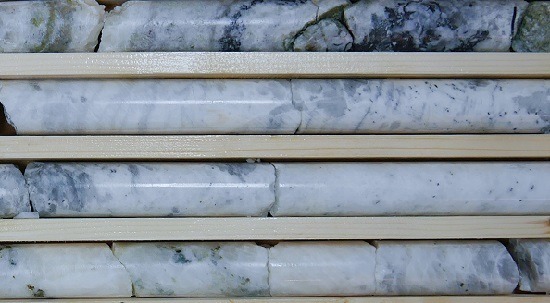 Nordkalk’s core business in limestone performed well in 2018. In the quicklime business, competition was challenging. Nordkalk’s turnover and EBITDA decreased slightly compared to the previous year. Nordkalk’s strategy was refined in 2018, focusing on further developing the limestone business, e.g. AtriGran, and offering highly developed special products such as wollastonite. Both in the granulated and special products, preparations were made in order to increase production. In the quicklime business we carefully select growth opportunities and optimise our sustainable kiln and supply network. In January 2019, a decision was taken to close the lime kiln in Louhi, Finland by July. In the fourth quarter of 2018, a comprehensive analysis was conducted to identify improvement needs in order to reduce costs and to increase the throughput and profitability of the whole company. The analysis showed clearly that Nordkalk has a strong core business, but at the same time significant potential for improvements to create a solid platform for growth. A major improvement programme was launched at the beginning of 2019, and a new CEO will be recruited to lead this change. Securing access to limestone is the fundament of Nordkalk’s business. In 2018, we extracted 13.2 million tonnes of lime-stone. It represents less than 5% of the company’s total reserves, which we aim to secure for a minimum of 20 years. Active drilling programmes, which were in progress at nine locations last year, are needed to reach the target. In 2018, expansion of the extraction area was under way at the Lappeenranta site in Finland as well as in Karinu in Estonia. Preparations for expansion were continued in Miedzianka and Sławno in Poland, at Klinthagen on Gotland and Ignaberga in Sweden. In Buttle on central Gotland, where Nordkalk owns land, preparations for a future permit process continued. 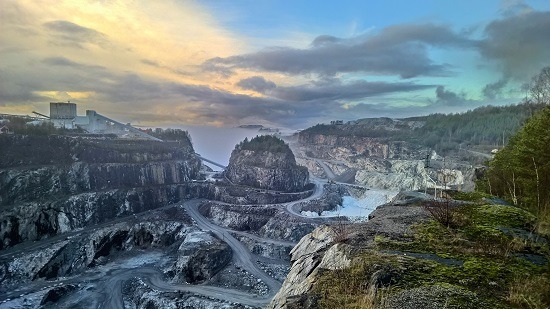 Regarding the planned Bunge quarry on Gotland, a decision about the continuation of the permit process, which was started in 2006, is expected from the Supreme Court of Sweden in spring 2019. Nordkalk has started to evaluate mineral assets according to the UNFC system, the United Nations Framework Classification. This will be carried out and cover all our limestone deposits in 2019. As the UNFC classification considers three dimensions, socio-economic, feasibility and the geological knowledge base, there will be a shift from reserves to resources. Up until now we have focused predominantly on the geological knowledge base. In the calculation of consumed assets in relation to the available reserves, no change to the previous has been made for 2018. A customer survey is conducted every third year. In 2017, the customer satisfaction index showed a good level. The next survey will take place in 2020. Effective and prompt corrections to reasons for customer claims often require thorough work and the cooperation of several departments. Each department needs to make customer claims a high priority so that we can take rapid action.The percentage of claims closed within two months, improved from 27% to 17% in 2018. Nordkalk participates regularly in audits conducted by our customers. In 2018, a list of questions asked by our customers was drawn up with the purpose of improving and better meeting customer requirements. These audits are sometimes critical for winning customer tenders. In 2017, Nordkalk started preparations for launching extraction at the Ostrówka and Ołowianka deposits in the Miedzianka area, Poland. A Local Area Development Plan has to be approved by the community. Extraction at the Ołowianka deposit was stopped in the 1970s and plans are now being resumed. 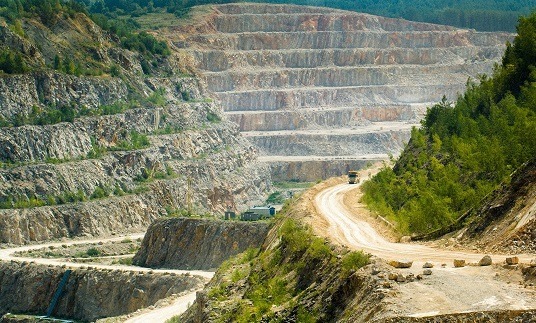 Extraction from the Ostrówka deposit will be extended to include a new plot. Meetings with neighbours took place at the end of 2017 to communicate our plans for expansion and listen to people’s opinions. Local authorities attended to present the benefits of Nordkalk’s activity for the community (taxes, workplaces, sponsorship etc.). As a result, some actions were taken to minimise the negative impacts of the operations, i.e. maintaining roads and building pavements. Nordkalk will also build a playground for children, an outdoor gym and renovate the building of a village centre to fulfil the close co-operation with local authorities and serve as an example of good practice. To long-term profitable growth, thus creating value for generations of stakeholders. To securing limestone reserves long into the future. To being a long-term, loyal partner for our customers. To providing local jobs and taxes. To being transparent in our reporting practices. To emphasising the sustainability perspective in all decisions and actions.